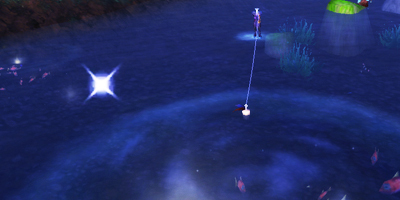 I was busy fishing the other night after talking to Ben of the Booming Voice. There is something about the millions of pools all in one place that I really love. I was there initially to get some fish saved up to sell. Look how big it is compared to me! Once there I noticed a really big pool. This immediately caught my attention because a giant pool is bound to be there for a reason, right? Rumor has it that these giant pools eventually spawn a Krakkanon rare full of loots. I wanted to see this elusive monster fishy so I settled down for a long night of fishing. Then something happened I have been hoping for since Wrath. 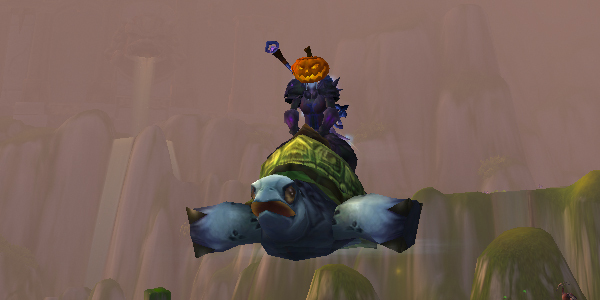 I finally fished up the adorable Sea Turtle mount! 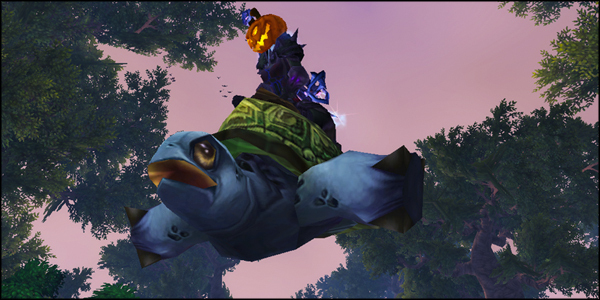 I don’t care that this mount isn’t necessary–especially with path of frost–it is so cute! I absolutely love it. I kept fishing after a moment of celebration. About four and a half stacks of fish (plus seven crates) later this happened. The Krakkanon has a lot of health and is supposedly able to be soloed by most 90s. Er…well I did try. It shoots water like The Lurker Below. It also shoots water bolts at you and makes puddles under your feet that will slow you, shoot you up, damage you, and give you fall damage. This guy might be easier to deal with if you are ranged. I had trouble keeping out of the puddles and died three times. 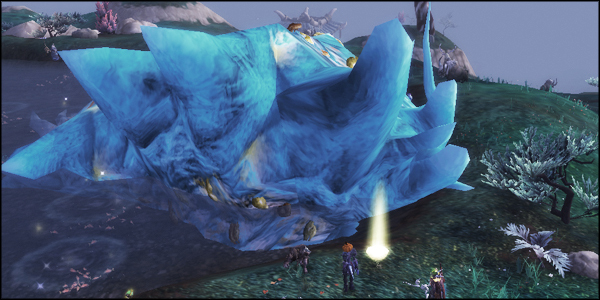 (I don’t raid so my gear level is a bit low–better geared melee might do fine in this situation.) This was quite frustrating, so I asked if anyone in my guild was willing to help me. The Krakkanon’s loot table includes a fishing XP book normally sold by Nat Pagle. This one only dropped one of his rare fish. Everyone was able to loot him and get that rare fish though. It was a very good night. Fishing up a monster fish was fun! Plus, Turtle!!! I am so happy to finally have it.